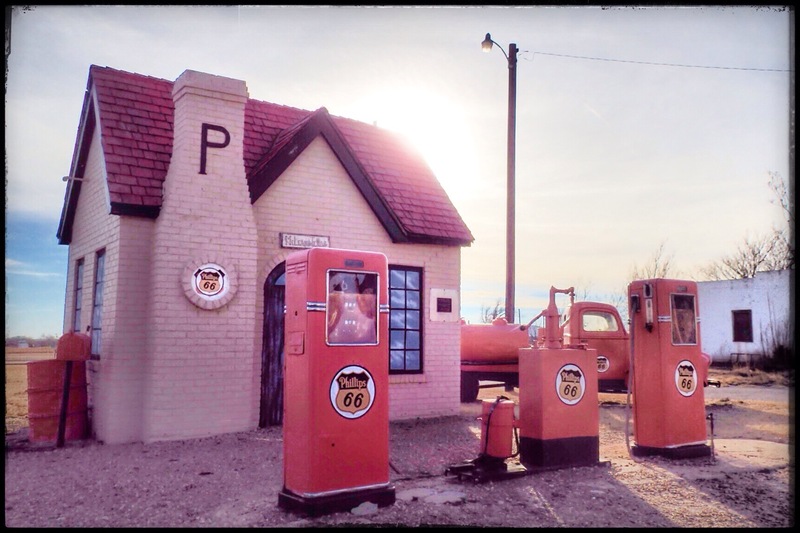 Driving east on Rt66 from Amarillo, we were eager to get to the town of McLean, home of the first Phillips 66 Station outside of Oklahoma. 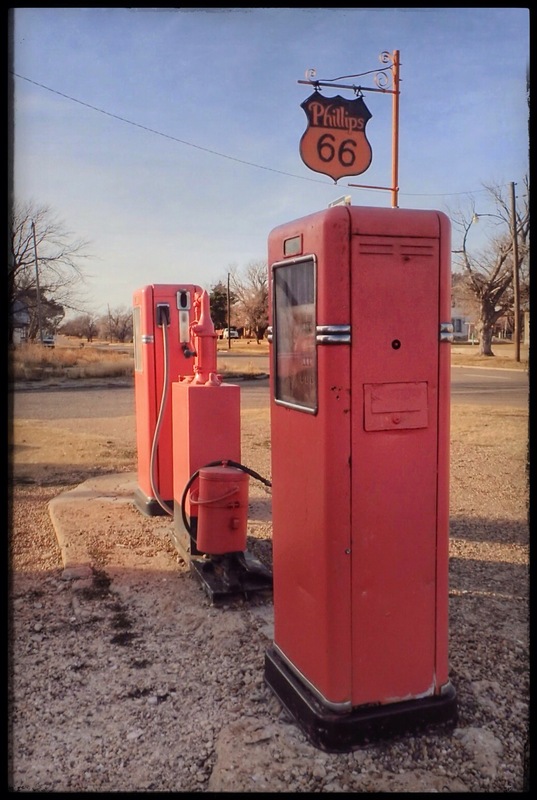 According to what we’d read, McLean had an active Rt66 Preservation Society and two museums. One was dedicated to a WWII POW Camp in the area (who knew?) and the other, the Devil’s Rope Museum, celebrating barbed wire and ranching history. McLean is a small town on Rt66, 75 miles east of Amarillo. During its heyday, it was a significant cattle and agricultural shipping center. As the origination point for hundreds of loads of watermelons and hogs annually, McLean employed four telegraph operators to handle the station’s communications. Alfred Rowe settled nearby in 1878 after learning of abundant ranchlands for purchase. Rowe was from a middle class English family, but was deprived of inheritance since he wasn’t the oldest son. So the adventurous Rowe attended the Royal Agricultural College in England before heading off to America to seek his fortune. He was an honest, hard worker, and learned Texas ranching from Charles Goodnight’s men. In 1900, he began buying land and cattle, eventually becoming one of the most successful ranchers in the Panhandle with over 72,000 acres. When the railroad came through in 1902, he donated land for a townsite which he named for William McLean, the Railroad Commissioner of Texas. In 1910, Rowe moved his family back to England, but often returned to Texas to check on his ranch. Unfortunately, it was en route to Texas in April of 1914 that he failed to make it back. Alfred Rowe was one of the 1,517 passengers who died in the Titanic disaster. 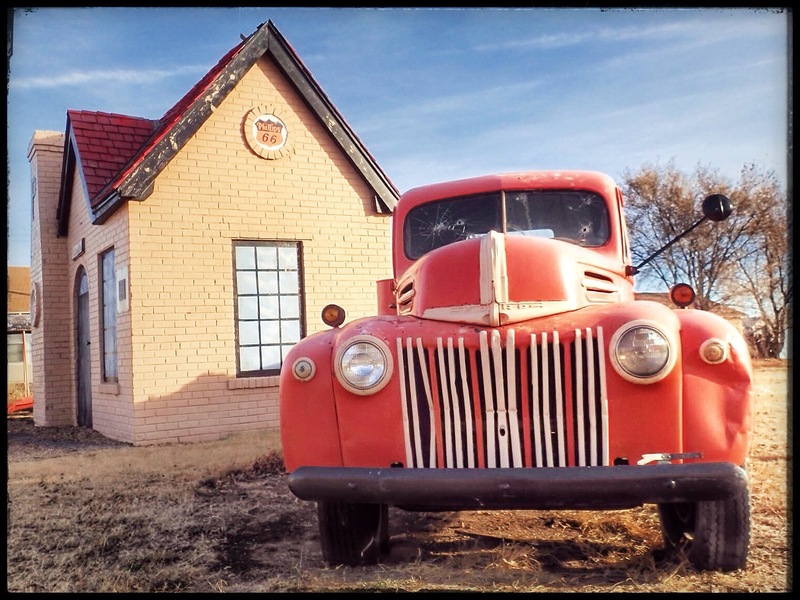 McLean benefitted from the 1927 oil boom and remained a major shipping point in the panhandle for livestock, gas, and oil. Rt66’s path through its center guaranteed growth for the next few decades, and McLane saw growth rapid growth, including the now historic Phillips 66 Station. In 1942, the US Government established a POW Camp nearby. While the Camp provided workers to the community, the War was hard on McLean. Having 3,000 POWs so close brought the outside into this sheltered community. Many men left to join the war effort, and many of the town’s young women married soldiers and moved away. 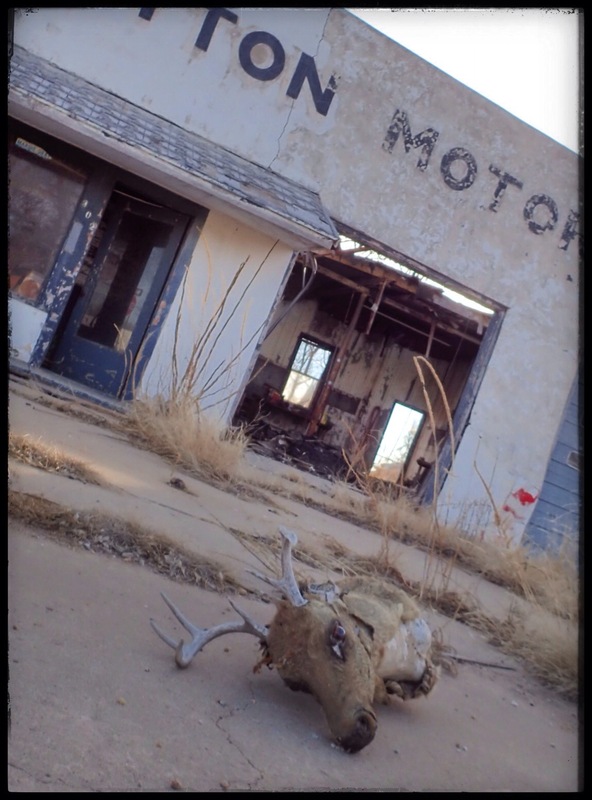 It wasn’t until the interstate (I40) bypassed town that McLean’s future was sealed. 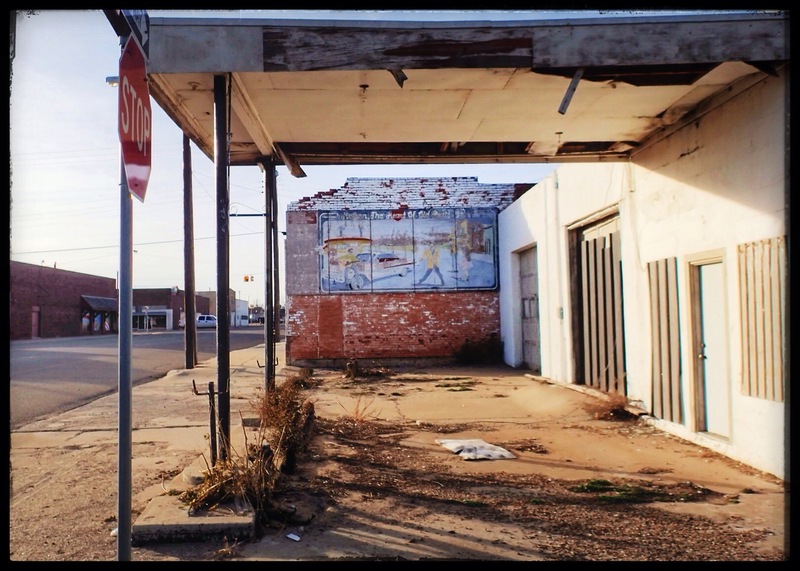 Easier access to bigger cities contributed to the town’s decline. Needless to say, we were disappointed when we arrived and everything, once again, was closed. We didn’t see a soul in the hour or so we spent in town. The Devil’s Rope was closed, and the brick streets were deserted. 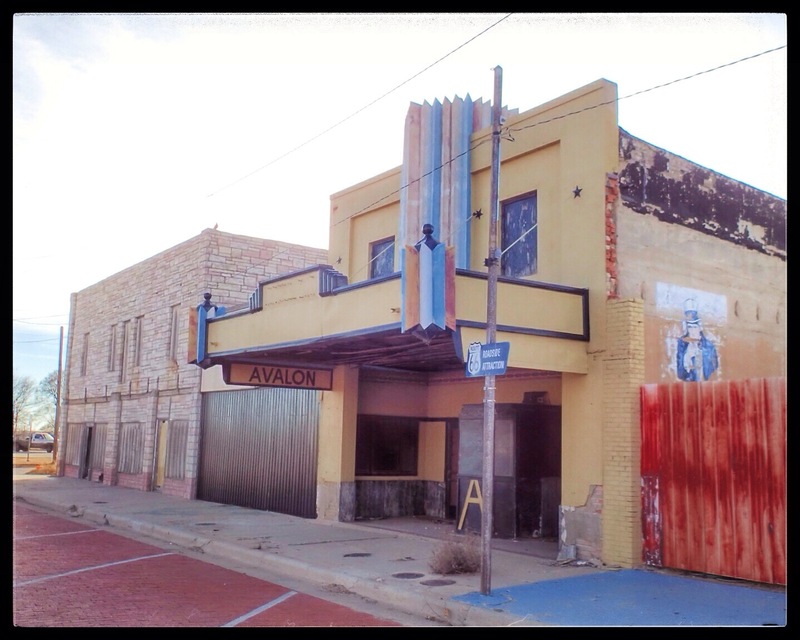 We drove around and saw the Phillips 66, the Avalon Theatre, and many of the murals that we had seen celebrated online. Sadly, the murals and the theatre have fallen into disrepair. 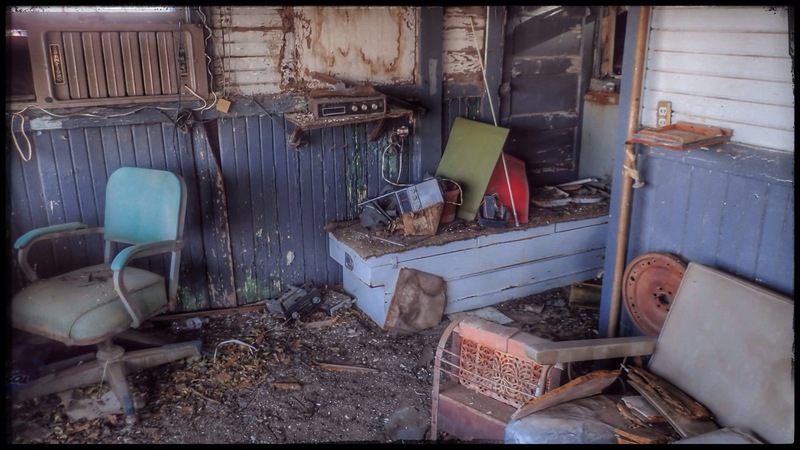 We’d heard there was an active Rt66 preservation society, but we saw no evidence of such. So, we drove through the deserted streets, noting the obvious historical structures (and their lack of demarcation) and wondered what the town must’ve been like in its heyday. We thought a Wednesday afternoon might have shown some signs of life, but, unfortunately, there was none. The town must’ve been a nice little place, once upon a time.